Good Life Festival 2014 brings you deadmau5, Macklemore & Ryan Lewis, Hardwell, and more! UPDATE 01/12/14: The Good Life 2015 lineup has arrived! Full details here. 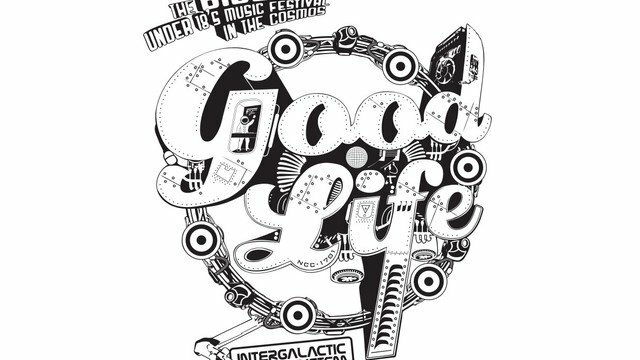 Australia’s biggest underage music festival, Good Life is back for 2014, with one of the most blistering lineups in the festival’s short history. The 2014 lineup features some of the world’s biggest urban and dance acts, including Deadmau5, Macklemore, Hardwell, Rudimental and more! Launching in 2010, Good Life has cemented itself as the year’s biggest event for 13-17-year-old music fans, consistently selling out each year since. The festival’s fifth season returns next February and will bring with it the addition of events for Brisbane and Perth. The 2014 event will see performances by the inimitable man in the mouse helmet, Deadmau5, as well as thrift-shoppers Macklemore & Ryan Lewis, Dutch EDM star Hardwell, UK drum and bass impressionists Rudimental, Australia’s own Knife Party, with more acts to be announced soon. The festival prides itself on its impeccable safety record, boasting some of the world’s strictest entry policies, helping parents rest easy while their kids have the time of their lives. Sydney’s inaugural 2013 event was praised by Police for its outstanding safety measures. The festival also boasts free carnival rides, a water theme park, two-on-two basketball and dodgeball competitions, market stalls, chill-out zones, a stocked food court and plenty more. Not to mention eight hours worth of incredible tunes spread over multiple stages. Readers can check out the full lineup and ticketing details for this underage event below, and stay up to date with all the action surrounding the festival at our special Good Life 2014 Feed right here. UPDATE 4:53pm 12/02/14: The organisers of Good Life 2014 have announced that their Perth event on Monday, 3rd March will now be held at the Claremont Showgrounds and not Arena Joondalup as previously announced, to accommodate for the recently moved Soundwave Festival. “We’re very excited with the move, as Claremont Showgrounds is far more accessible for our patrons,” write the organisers. “The change in the venue has allowed us to add an additional stage and announce two new artists: Uberjack’d and rising local star Axen.” Check below for new details. Tickets on sale nationally from 6pm LT Friday, 1st November 2013. Monday, 3rd March 2014 (13-17yrs) — NEW VENUE!